Can too much stress trigger baldness and thinning hair? We often get asked about the relation between stress and hair loss. In fact, this has to be one of the most common topics on the subject of baldness. Does stress lead to thinning hair, and if so, why? The stress response is the body's way of protecting you. However, this can cause anxiety and concern, which lowers self-esteem, and makes us react and behave differently. 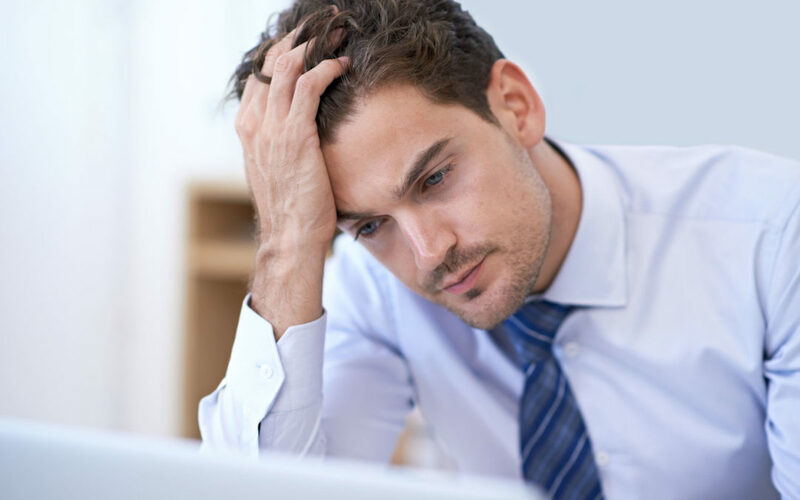 Stress can cause many conditions that lead to baldness and thinning hair. 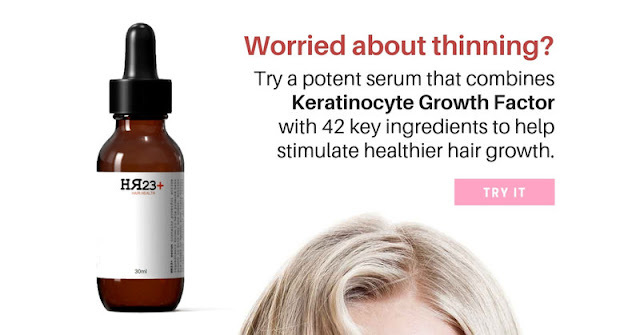 These include Alopecia Areata, which is a sudden loss of hair in patches around your scalp, and Telogen Effluvium, which is a condition where more strands than normal prepare to shed. Trichotillomania is another condition caused by stress and anxiety where the person pulls out strands from directly the root. This is self-inflicted baldness. Extreme emotional stress can affect the hair and cause the hair follicles to go into a shedding phase. This leads to temporary hair loss. We should reiterate the word 'temporary', because in most cases the hair will grow back, usually after the stress is alleviated, at around 3-6 months. So, basically, yes, stress can play a key factor in the amount of hair you lose. 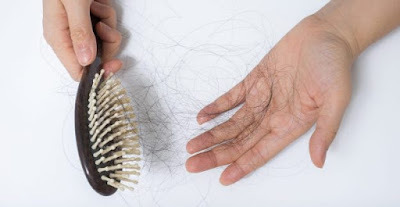 Losing hair isn't much fun, and neither is being stressed, so when you combine the two, it is actually very possible that stress levels increase due to the severity of the shedding, which causes a vicious cycle. Now that we have established how stress can have a major role in the hair loss process, let us now look at how stress related baldness can be minimised, and even stopped. Can stress related be treated or stopped? Getting lots of sleep and rest can dramatically lower stress levels. Aim for at least 7-8 hours sleep at night. This will help you relax, focus, and program your mind to be more positive in its thinking. Drinking plenty of water and eating healthy foods should be something you do anyway, regardless of whether you are suffering from stress. Staying hydrated keeps your body fresh, increases brain power, flushes out toxins, boosts your immune system, prevents headaches, and reduces body aches and cramps. All these things can dramatically lower your stress levels. Obviously, if you are suffering form severe stress, then the last thing you should do is consume junk food. Junk food is bad for you in so many ways, and gaining weight certainly isn't something that will reduce your stress levels. It's difficult to avoid junk food when you are stressed, but for the sake of your health, and your hair, do your best to avoid it. Coffee can cause insomnia and restlessness, which isn't ideal if you are suffering from stress. Your recommended maximum amount of caffeine is 400 mg, roughly the amount that you'll get from 4 cups of coffee, but you should avoid drinking anywhere near that amount when you are stressed. Much like with eating and drinking well, getting plenty of exercise will benefit your health in multiple ways. Yoga and meditation should be high on your list of priorities, because they can help settle the mind, and ease stress levels considerably. Multi-vitamins and health supplements are great for every day use, especially if you aren't getting all the vital nutrients and minerals into your body. 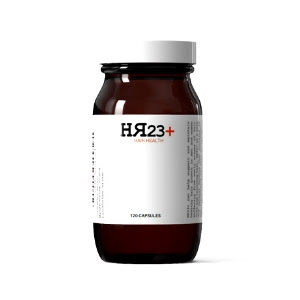 B vitamins, as well as a whole host of other extracts can help reduce stress levels and help your mind function properly. If your stress levels continue over a long period of time, then you should see a doctor or a specialist about the problem. Long term stress is an issue that can lead to even more serious things than just baldness. Remember, stress related hair loss is a normal process that is temporary. So, you should not worry about your hair in the long term, if you are noticing shedding during your stress period. Make it your priority to deal with your stress, and lower it as quickly as possible. That will solve the hair loss problem. However, if you are noticing after-effects of stress related baldness, then try and implement as many of the tips mentioned above into your daily routine. For the most part, this is pretty simple: Stress less = shed less.